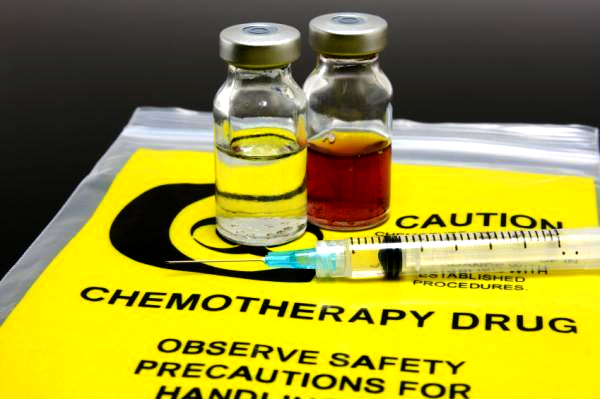 Chemotherapy is the use of drugs to cure or control the abnormal lymphocytes. These drugs travel through the bloodstream to almost every part of the body. Because they cannot tell the difference between leukaemia cells and normal cells they may cause unwanted side-effects. The main one is the risk of infection. Normal cells recover quickly so most of these side-effects do not last long. For this reason, chemotherapy is given in cycles. It allows time for the normal cells to recover. The drugs can be given as tablets or capsules or injected into a vein. Most drugs given for CLL can be taken as tablets. If given into a vein, it can be as an injection or through an infusion or drip. This is where a fine tube is put into a vein in your arm or on the back of your hand. The drugs are then able to travel to all parts of your body, except your brain. Chemotherapy is usually given in the day ward of the hospital or as an inpatient for a few days. Most tablets can be taken at home. The most common chemotherapy regimen is “F.C.R.” which stands for Fludarabine + Cyclophosphamide + Rituximab. A steroid such as prednisone or dexamethasone (Decadron, Dexasone) may be used in combination with chemotherapy.